Each year about this time, our good friends at OSHA publish their list of the top ten most violated standards. The list for 2015 looks the same as that for 2014, 2013, 2012 and so on. All of the most violated standards for 2015 have several things in common. 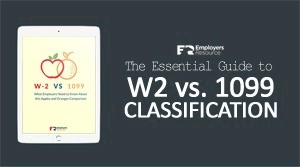 First of all, the standard has an employee training component that must be met for compliance with the standard. As with all things OSHA, documentation of training is paramount. If there is no documentation that a training event was presented to employees, it did not take place in the eyes of OSHA. In addition to employee training, all of the most violated standards have some sort of Personal Protective Equipment (PPE) component. For example, a fall protection program is worthless without employees having access to personal fall arrest systems as required by the standard. If your business is engaged in any of the activities covered by the top ten, you must assess the need for PPE. Training on proper use of PPE is also a requirement. Lastly, the reason that the top ten most violated standards list doesn’t change is because employers simply don’t follow the rules. Each OSHA standard is very black and white. The rules that must be followed for compliance are very plain. Granted, there are a lot of rules with most standards. Nonetheless, a good employer will make every effort to acquaint himself with the OSHA standards that pertain to his business. He’ll also make sure that the training is documented and the PPE is appropriate for the work being done. All this seems a bit overwhelming – especially if your business falls under several of the top-ten most violated standards. That’s where we come in. The Safety Team at Employers Resource stands ready to assist our client companies with all phases of OSHA compliance. We also constantly monitor OSHA activity for changes in existing standards and development of new ones. Our clients are alerted as soon as possible when a change or new regulation comes along. Give us a call or drop by our website to see how we can assist your company with OSHA compliance.